If you happen to be in Athens on 12th February for Tsiknopemti, you have the chance to have lots of fun ! If you are a meat eater, we suggest becoming friends with the first Greek family you find on the street and hope for an invitation because it will be a day you won’t forget in a hurry, neither will your stomach. Traditionally, Tsiknopempti is the Thursday of the week prior to the arrival of Lent, during which large amounts of meat are consumed before the fasting season begins. Not exactly known for their subtle ways, the Greeks will try to outdo and out-smell their next door neighbors in an all-you-can-eat meat-feast in an attempt to steer themselves away from meat for the next 40 days (traditionally). If you are not a traditionalist or religious, then you can enjoy leftovers the next day – if there are any of course and if you have not offended your adopted Greek family by refusing to try every course. Whilst it used to be customary for everyone to charcoal meat and melt fat over it so the smell of burning meat choked whole villages, nowadays it is acceptable to go to a tavern for a meat feast. So if you are not successful in scoring an invitation to a local’s house, head on over to a Greek tavern and enjoy some meat and some live music and enjoy the whole ‘piatela’ (platter) as the Greeks say. During that day there are many happenings in the center of Athens, in Plaka, which is a 5 minute walk from our hostel. Starting at 12 from Kotzia Square the Athen’s City Philharmonic will march towards Monastiraki Square and at the same time the Greek music band called ‘’Leyteris Grigoriou & Global Daoulia’’ will play at Monastiraki Square folk Greek music instruments. At 19:00 at the Monastiraki Metro Station there will be a latin band playing and at 21:00 there will be a costume parade in Plaka ! 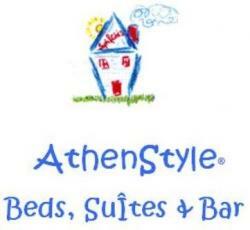 Book your stay at AthenStyle to enjoy one of the most delicious Greek traditions! Check-out our Winter Special offer and book your bed now!